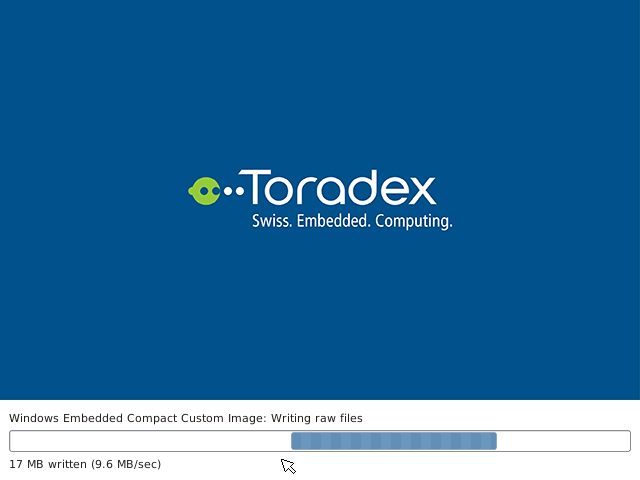 Warning: Since release 1.3b2 you can use the Toradex Easy Installer to install automatically bootloader, image (if you use a custom image you'll need the image compression tool), registry, splash screen, and config block. 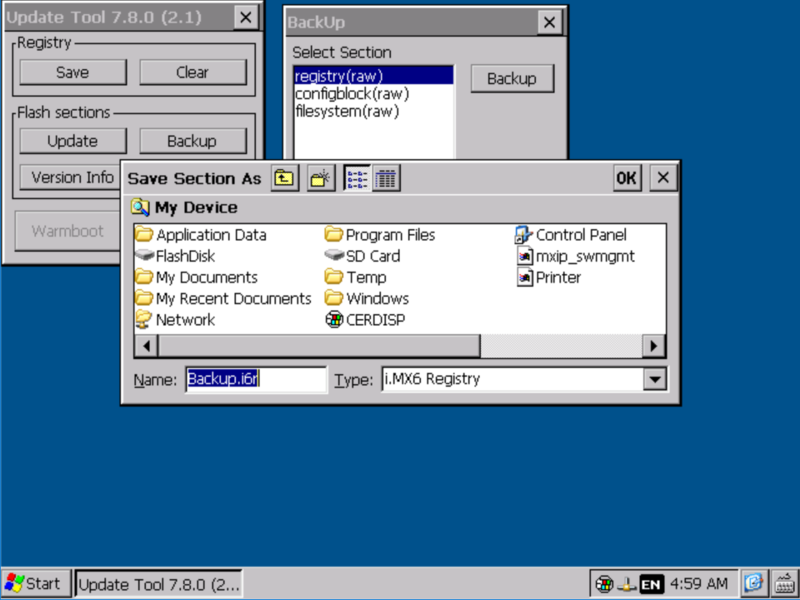 You can then use the AutoCopy and EarlyAutoCopy to copy application and data files. 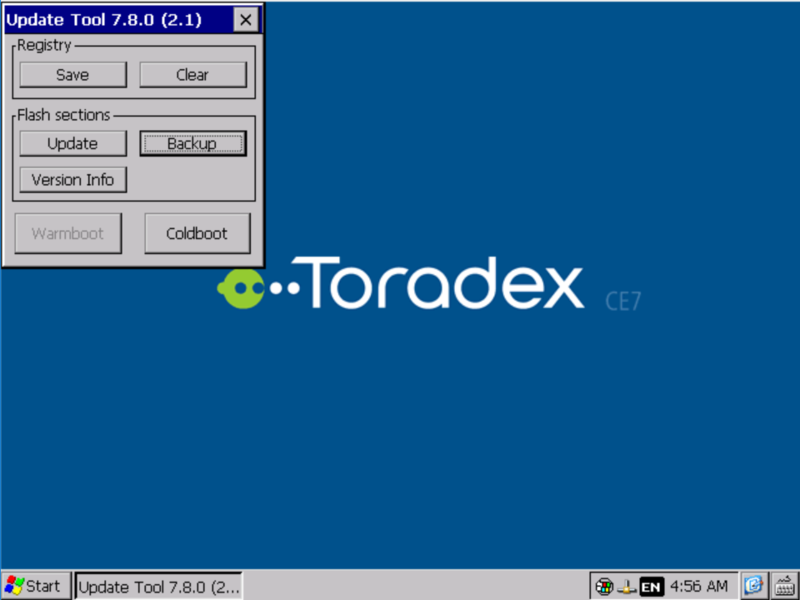 You can find a template file for Windows Embedded Compact 7 and 2013 on our server, download it on your PC. 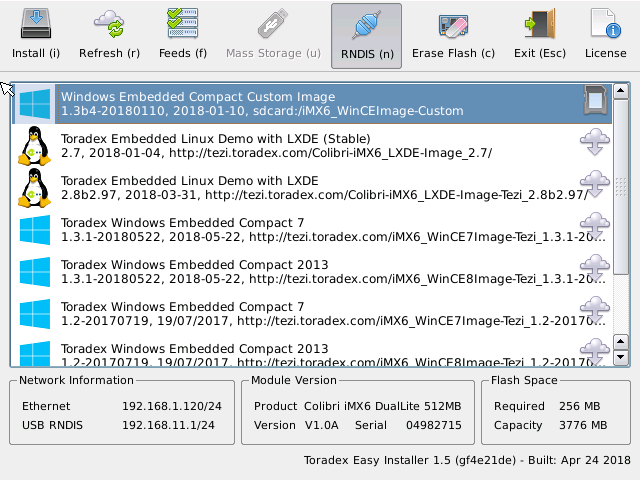 You can extract the content of the template on a mass-storage device (SD card or USB thumbdrive that you will use for setup). 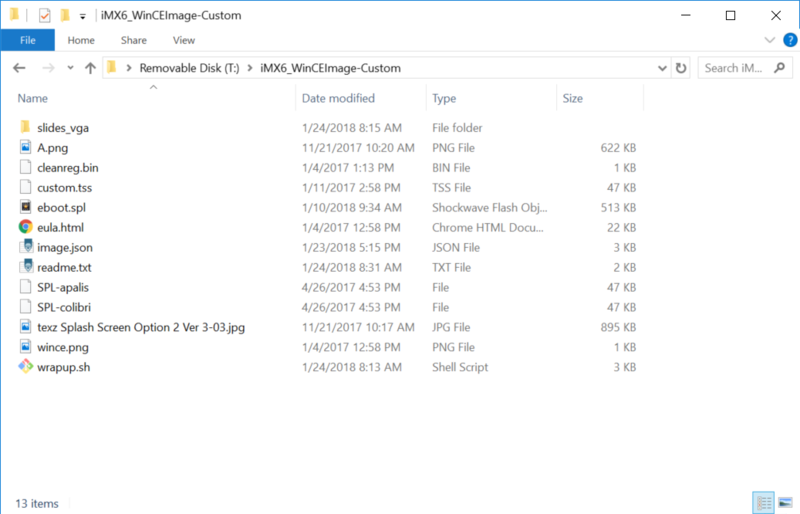 You can now copy the two configuration files you saved before (they should be named Backup.cfg and Backup.i6r) and your OS image. 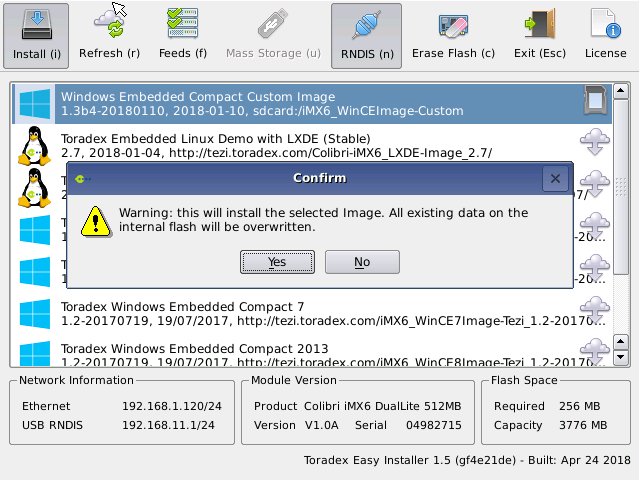 Our default download use nk7.nbx for Windows Embedded Compact 7 images and nk8.nbx for Windows Embedded Compact 2013 image, you'll have to copy and rename the image file. Config block parameters are documented here (some may not apply to i.MX6). If your custom carrier board does not provide access to UART A or does not support USB client (as on Viola carrier board with default mount options) you may need to use a Colibri or Apalis EVB to do production programming and then move the module to your own carrier board for final testing. This document will describe the steps and command you have to perform. 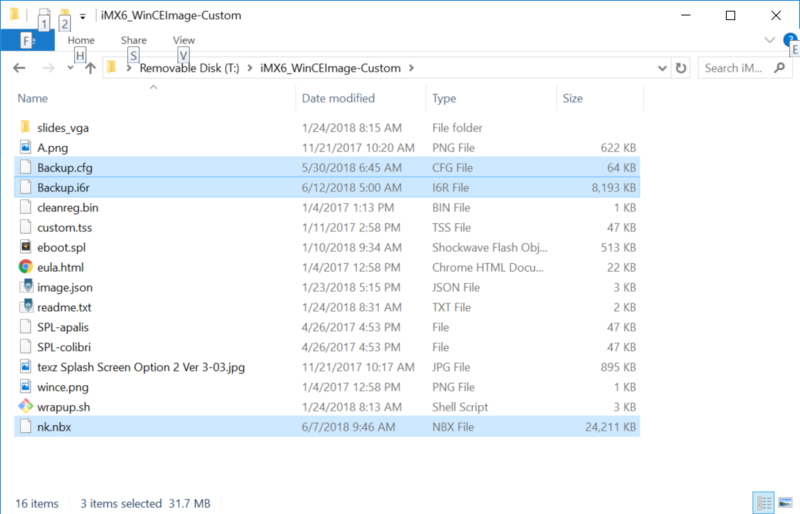 Serial commands can be automated using scripting tools on PC to perform a completely unattended installation. 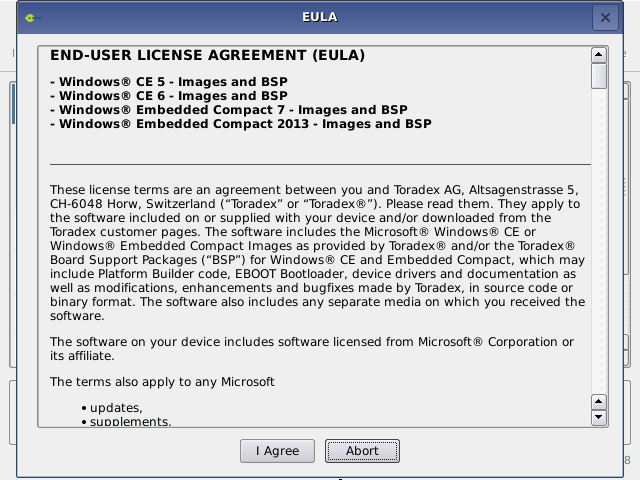 The modules come with Linux pre-installed. 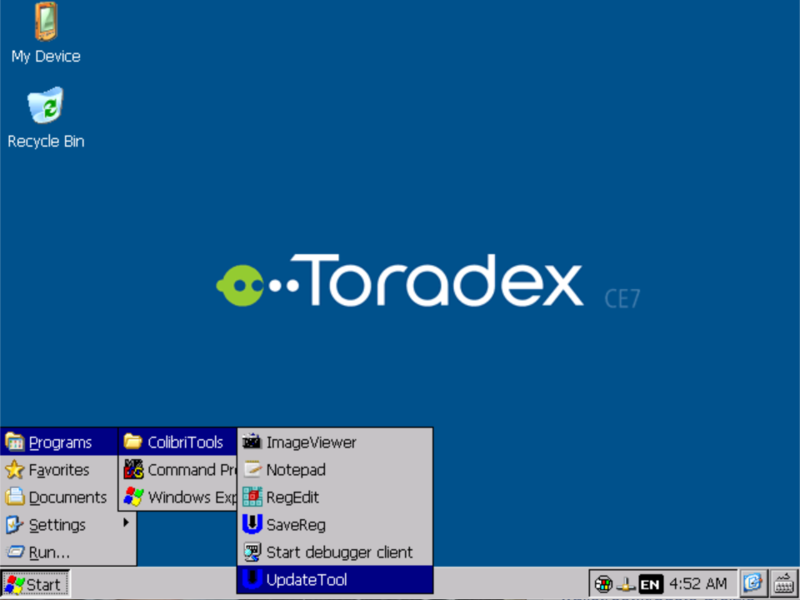 You can enter recovery mode from the u-boot console. To enter it press space in the first second after module power-up or reset. This will put the module in recovery mode. On Colibri-based devices you should ensure that no SD card is in SD slot at this point, otherwise recovery mode will not work. If your module does not boot at all because u-boot has been corrupted, then you can enter recovery mode using hardware method described here. 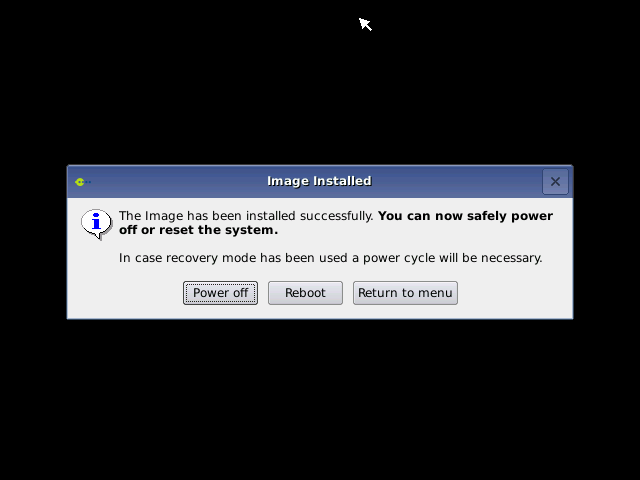 To flash the bootloader you must run 'imx6recovery.bat' from the recovery folder of the OS image zip file. The application will download recovery mode loader that, in turn, will wait for an SD card (in slot 1 for Apalis) and then flash the bootloader and create the correct settings depending on the module you are using. At the end of this phase (reported with a message on the serial console) you'll have to power cycle your board. Reset will not work.